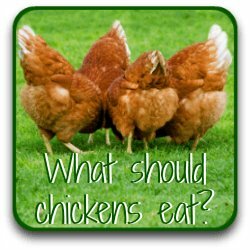 Wry neck in chickens : all you need to know. 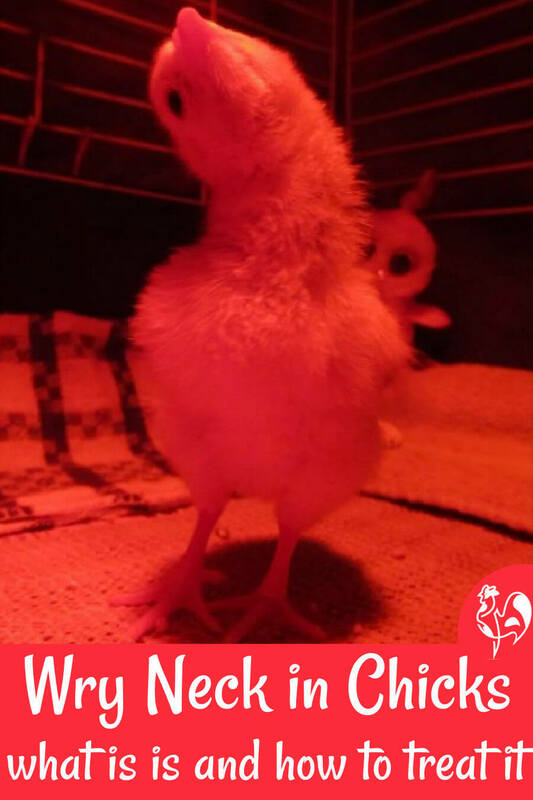 Wry neck in chicks : all you need to know. 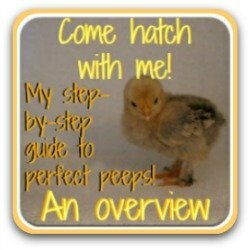 It happens to us all in the end : the perfect little chick you've been waiting for hatches - and can't seem to balance properly. Then you notice she looks like she's staring at the moon, and she can't eat or drink. Wry neck is not uncommon in new chicks. It's scary when you first see it, but it's not difficult to treat if it's caught in time. Wry neck in a newly-hatched chick. Image courtesy of Michelle Hosier. 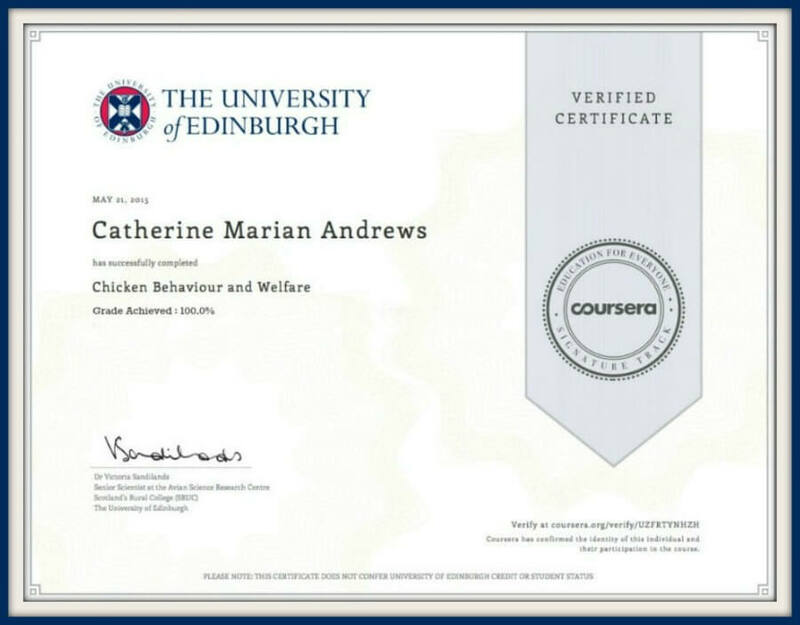 Please note : As with all my information, I base the following on peer-reviewed research (see my sources here) as well as on advice from very experienced chicken keepers and personal experience. 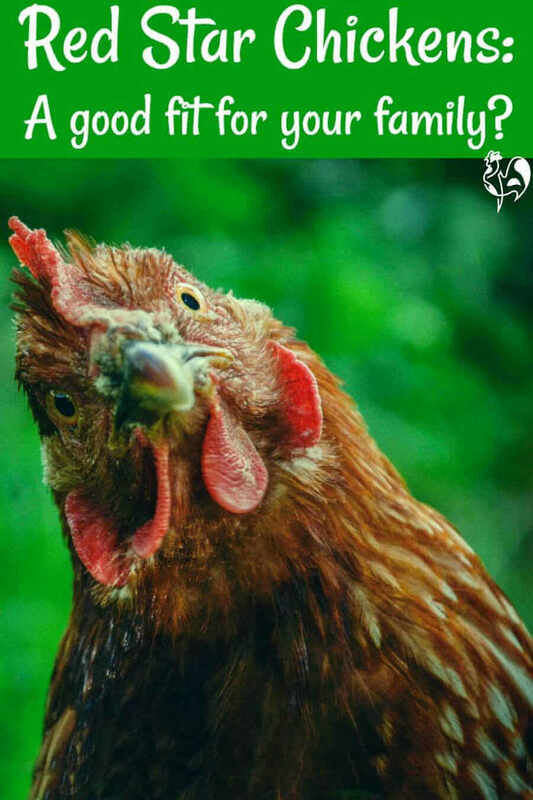 However, it does not take the place of veterinary advice and if you have any concerns about your flock you should, wherever possible, seek the advice of a qualified avian vet. Also known as 'twisted neck', 'crook neck' and 'stargazing', the medical name for wry neck is 'torticollis'. 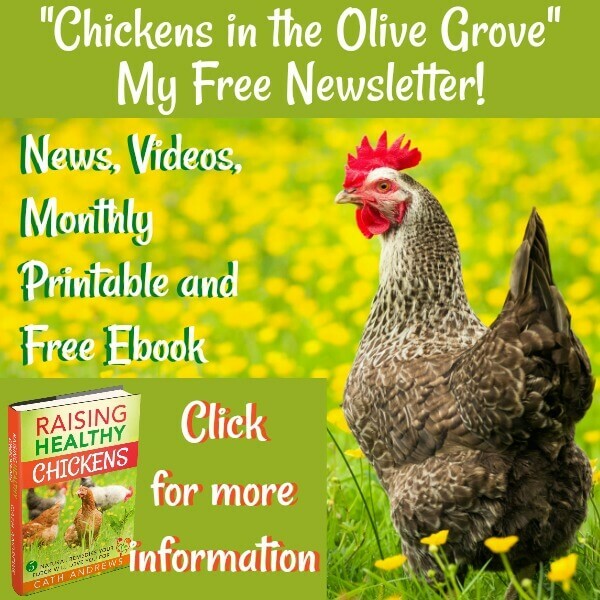 The signs that it's happening are that your chick, or less often adult chicken, is having difficulty standing and her neck seems to be twisted around so that she's looking backwards or towards the sky. She won't be able to eat or drink properly and the sight can be extremely distressing, particularly when you're seeing it for the first time. One of the first signs : the chick cannot stand or loses her balance. You'll find that people fall into three camps about this : one group consider that it's a straightforward vitamin deficiency, the second that it's genetic and the third that it's a condition affecting Silkie and Polish (UK Poland) chickens because of their tendency to head injury. 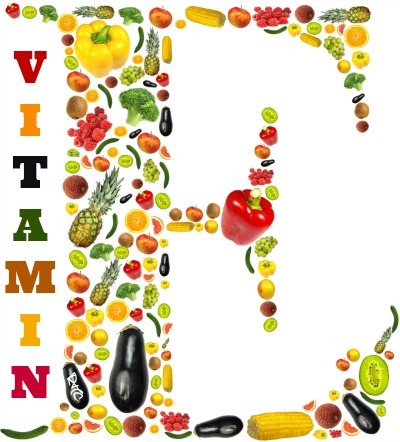 The best research information finds that it appears to be a deficiency in vitamin 'E' and the mineral element 'selenium'. 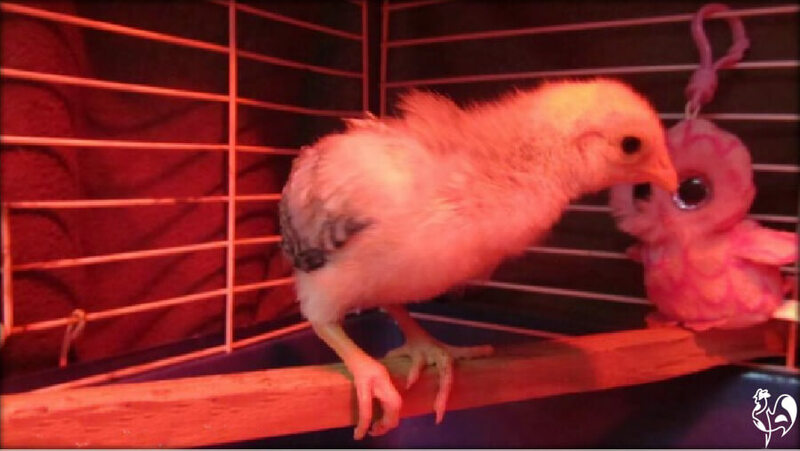 In a chick this is likely to be caused by the parent birds being deficient in those elements; in an adult chicken its own diet would need reviewing. In any case, the treatment is the same. 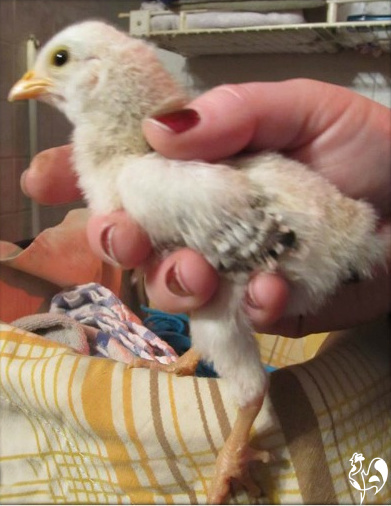 The same chick following treatment. Image courtesy of Michelle Hosier. How to deal with wry neck : 5 easy steps. 1. Remove the chicken from the coop. Wry neck gets worse if the chick is stressed and other flock members are likely to make it worse without intending to by, for example unintentionally standing on it. 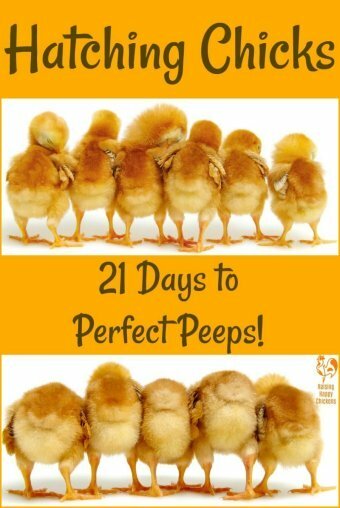 If possible, keep the chick within sight and sound of the flock - I use a dog crate in the coop. If you can't do that, try putting a cuddly toy in with her to keep her company. Chicks don't like being on their own. Hold the chick so she is able to eat. Image courtesy of Michelle Hosier. 2. You will need a supplement containing Vitamin 'E' and, if at all possible, selenium. Vitamin 'E' is the main cure; selenium helps the chicken to absorb it. If you can't find the two together in one capsule (or in powder form), look for them separately. 3. 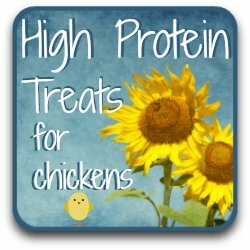 In terms of how to get Vitamin 'E', it's always a good idea to have a good quality chicken vitamin supplement available. If you haven't and can't get hold of one quickly, buy some human Vitamin 'E' capsules and squirt out the contents of one to mix with the feed. If the supplement doesn't contain selenium, take one 25 microgramme selenium tablet (or break a 50mcg tablet in half) and crush that up with the vitamin in the feed. 4. Give this to the chick twice or three times a day. The chick will need to be helped to eat and drink as its head will not be turned the right way. This can be done either by wrapping it in a towel and holding its head near the food and water, or by spoon-feeding. 5. There may be improvement as quickly as 24 hours after the first dose, but it can take several days for improvement to start and it may seem to get worse before it gets better. It can take as long as a month before the condition disappears altogether. Don't give up. Even if there is improvement, don't stop giving the supplements because the condition will return. Keep it going for about two weeks after the condition has improved. Do not continue to feed Vitamin 'E' supplements after that, though - in continuing doses it can cause internal damage. How to prevent wry neck. If you're dealing with this in a chick the likelihood is the parent birds were deficient in Vitamin 'E' and Selenium. 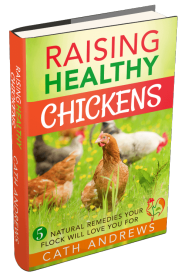 The best way to make sure your chickens don't suffer the same fate is to make sure their food contains a good amount of the vitamin, fed naturally. 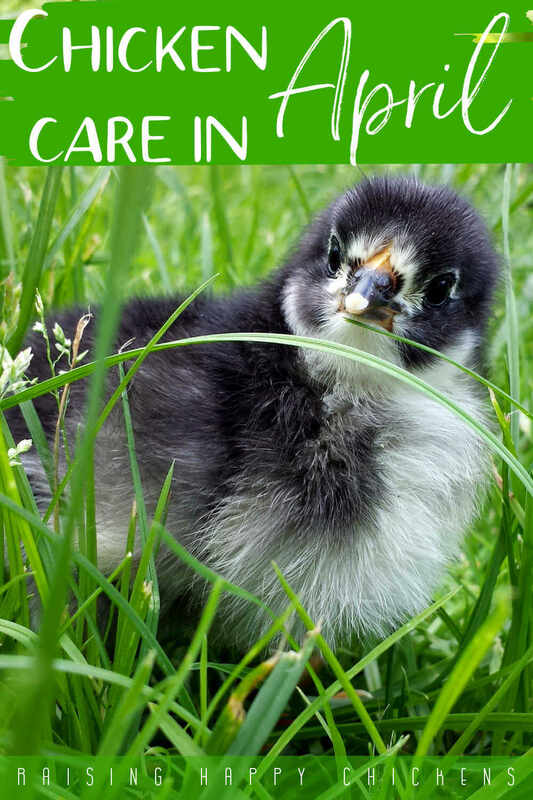 A good quality chick, grower and layer food should contain all the vitamins and minerals your flock will need, but feeding them additional foods high in these vitamins will ensure they're kept healthy. It's particularly important if you intend to use your own hens and roosters as parents. So, which foods are high in Vitamin 'E'? Sunflower seeds are an amazingly high source and as a bonus also contain Selenium. Another bonus - chickens love them! Try to find the black seeds and feed just a handful to your flock every few days, particularly in winter and when they're moulting. Other good sources are spinach, broccoli, olive oil and oily fish. Avocado flesh is also high in Vitamin 'E' but should be fed sparingly, and on no account should the chickens be allowed access to the skin or the pit - they're poisonous to poultry. For selenium, try giving your flock some tuna, the highest source of any food. Tinned is fine but make sure it's stored in water or oil and not in brine. Again, as with everything, feed in moderation. 5 common myths about wry neck. 1. It happens most often in Polish (Poland) and Silkie chickens and it's as a result of 'vaulted skull', or the cranium not being closed off. It doesn't and it's not. Wry neck affects about 8% of chicks across all breeds. Cranium problems in crested chickens are a separate issue altogether. 2. Wry neck is an illness. It's not so much an illness as the symptom of a problem, usually related to vitamin deficiency. 3. Wry neck in chickens is contagious. No. It's not an illness as such, so it can't be contagious. It's a deficiency which needs to be righted. 4. Turmeric will cure a chicken of wry neck. I love turmeric for a variety of treatments but it won't cure wry neck. It won't harm, either, and it may help to prevent it because it does have anti-inflammatory properties, but it won't cure it. for that you will need, as above, Vitamin 'E' and Selenium. 5. A good way of treating wry neck is to attach a pulley system with weights to the chickens' feathers using a bulldog clip to pull its head back into place. No, it's not because this is not a condition which can be righted using traction. While it may be useful in other conditions all it will do in this case is hurt the chicken. If it's to recover, vitamin 'E' is the only answer. How to hold a chicken with wry neck to allow feeding. 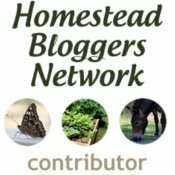 Related pages you may find useful. Burgos, S. et al : 'Vitamin deficiency Induced neurological diseases of poultry'. Pub. International Journal of Poultry Science, 2006. Narbaitz, R. et al : 'Effects of Vitamin 'E' deficiency in the chicken embryo'. Pub. National Center for Biotechnology Information, 1987. Swan, S.E. and Sonaiya, E.B. : Small scale poultry production. Pub. United Nations Food and Agriculture Organisation, 2004. The World's Healthiest Foods (website - unfortunately, not a secure link).